Jungle Cats Cheerleading, Aerobics and Dance is a chance for us to share our combined experience and dreams with today’s youth. We are both locals who understand that each student has different goals, needs and aspirations and is not just a number. We aim to bring the best out of our students, without the need to yell or demean. It is our belief that individuals thrive and develop a passion for the sport through encouragement and support. Dance has it’s foundation in every culture and every belief, Aerobics has grown and remained strong since the 70s and cheerleading is growing exponentially, first in the USA, now in Australia, only recently being approved as an Olympic sport. We are all very excited to be a part this evolution of dance and movement to music and are looking forward to sharing Jungle Cats with you. I began dancing at the age of five. I have been trained in ballet, jazz, contemporary, Tap, acrobatics and Hip-hop. I have completed exams in Ballet, Jazz and Tap and have competed in every style! I began cheerleading in 2010 and have loved it ever since! I have competed levels 1-5 both in Australia and Internationally! I began teaching both Dance and Cheerleading as soon as I was old enough and have been teaching ever since! I have coached level 1 through to 4 and have experience coaching every age level! Since 2011 I have coached multiple teams to win State and National championship titles as well as two highest scoring routines! In 2015 and 2016 I was given the position as Cheer Operations Manager at Bullets Allstars! Where I also obtained my Cert IV in Business Administration and Frontline Management. Took a Senior Coed 3 team to compete at NCA in Dallas Texas where they came 6th. I cannot wait to get to know all of your beautiful children and be able to help the grow and achieve new things next year! I want nothing more than your children to leave their classes with a smile on their face! I’m super excited for next year and I hope you are too! If you have any questions don’t hesitate to contact me! Over a period of over 10 years, I had train in varying different styles of dance including Jazz, Ballet, Contemporary and Tap. 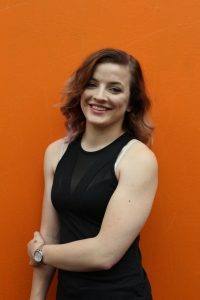 After discovering that it was the performance that was what attracted me to dance, I fell in love with cheerleading in 2011 when I joined my first competitive team. I found a strength and power in Cheer that boosted my confidence like crazy and I became a whole new person. In 2013 I started coaching and never looked back, coaching kids skills within the gym as well as fostering traits that they can take and use outside of the gym is my passion and love. 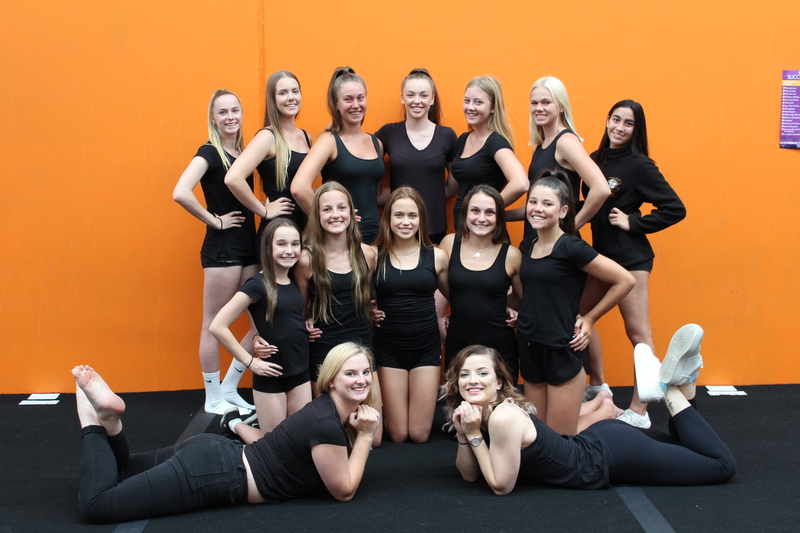 Cheerleading has brought amazing opportunities like performing with guy Sebastian at the Australian open, being WNBL cheerleader for the Dandenong rangers and performing and the Frankston waterfront festival. I have competed overseas at NCA in Dallas, Texas and I have competed at the world championships in Orlando, Florida both in 2016. I am credentialed to level 2 by the USASF. 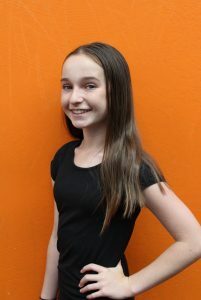 I began gymnastics when I was three, as I grew older I was competing at a national level.Then I moved to dancing at the age of 10 where I danced competitively for 3 years in the genres: Jazz, Ballet, Hip hop, Contemporary and Tap. My dance school introduced an acrobatics class which I fell in love with, so I began to look for a sport that was slightly dance and gymnastics that’s when I found cheerleading. At the age of 13 I started cheerleading and ever since i have had a passion for it. I’m currently 18 and have been involved in competitive cheerleading for 4 years. I joined the Jungle Cats family as a coach in 2016 and I love the atmosphere here. I think that coaching is so rewarding being able to watch the students grow each week is what drives my passion. I’m excited for this new year and look forward to seeing the Jungle Cats family grow! 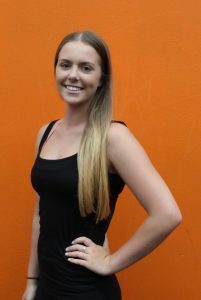 My name is Rikki Andison, I’m 17 years old and am currently completing year 12, I study and live in the Bayside area of Melbourne. I began partaking in Dance lessons at 3 years old and have followed this through for the past 15 years. Over this time I have been trained in Ballet, Contempoary, Jazz and Funk. At 7 years old I started Gymnastics competing as an Elite National Gymnast, over my 6 years of competing I held many state and regional titles including Victorian State Champion in 2013. In 2013 I joined Aerobics and Cheerleading at my secondary school. Since then I have competed for the past 5 years and will hopefully continue to compete into the future. In 2015 I received my first coaching job at my school coaching the year 7 aerobics team and coached again in 2016. 2016 I began my first out of school coaching role as a Recreational Gymnastics coach at my local club and at Jungle Cats as an assistant Cheerleading coach. Since then have been working hard and pushing the boundaries to succeed within myself and teams I coach having all my aerobics teams and soloists in 2017 place in Top 3 at every competition it was an amazing achievement for myself and the athletes. I am very passionate about what Jungle Cats has to offer and am very excited to meet and train with you and your children and grow together ! Bring on 2018. 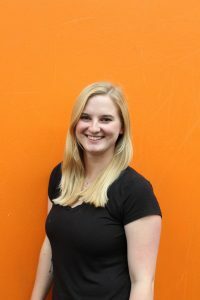 Hi, my name is Jasmine and I have been at Jungle cats for 2 years now. I am a year 10 student at Mornington Secondary college and have participated in their aerobics team right from year 7, lucky enough to get to nationals for 3 years in a row. One of my biggest highlights from the past 2 years at Jungle cats was definitely becoming a national champion and meeting so many new friends and memories which will stay with me for life. Over the past 12 years I have been studying many different styles of dance including hip hop, jazz, classical ballet, tap, contemporary, lyrical and pointe. Throughout my time at jungle cats I have taken part in aerobics, pom and cheer and have absolutely loved every second of it. I am so excited to become apart of the Jungle cats team in 2017 and can’t wait to coach a fantastic group of kids. Hello my name is Amy, and I am 13 years old. I have been doing Jungle Cats for 3 years now and I’m starting my 4th! I started doing gymnastics at the age of 10 in 2015, but I only did it for a couple months because I felt it just wasn’t for me. Then I decided to start cheerleading, so I joined level 2 Jaguars at Jungle Cats! I loved it within seconds and as the years went by I started doing more and more teams including more cheer, stunt group, hip hop, aerobics, jazz, Pom and lyrical! My highlight was definitely winning my aerobics solo section that I competed for the first time in 2017! I can’t wait to start coaching cheerleading in 2018 with an amazing group of kids and seeing what achievements Jungle Cats can make in the new year!